Up and down, up and down, day in day out! Same seat, same faces (mostly), same miserable feeling (optional). Made all the worse when there's a signal failure. In which case you get frustrated, angry and fed-up! For all that negativity, the Metropolitan line continues to serve millions of people each year (around 60 million journeys a year), taking them from some of the UK's most spectacular countryside areas and towns towards the centre of London. Love it or hate it! This is an underground line with an incredible history, unusual places to visit and convenient stops. Should you be heading to the big city anytime soon, there is every chance you will ride on it. 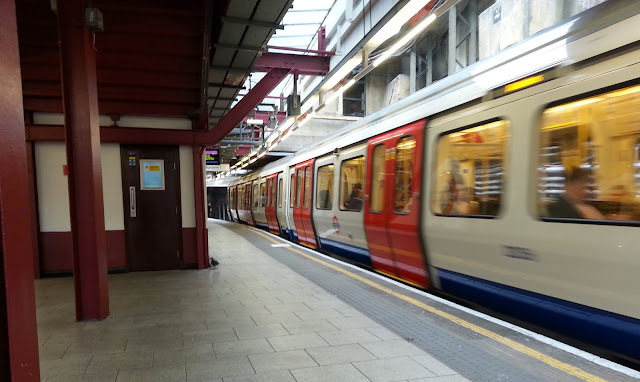 Riding the Metropolitan line, let us take a moment to celebrate it!